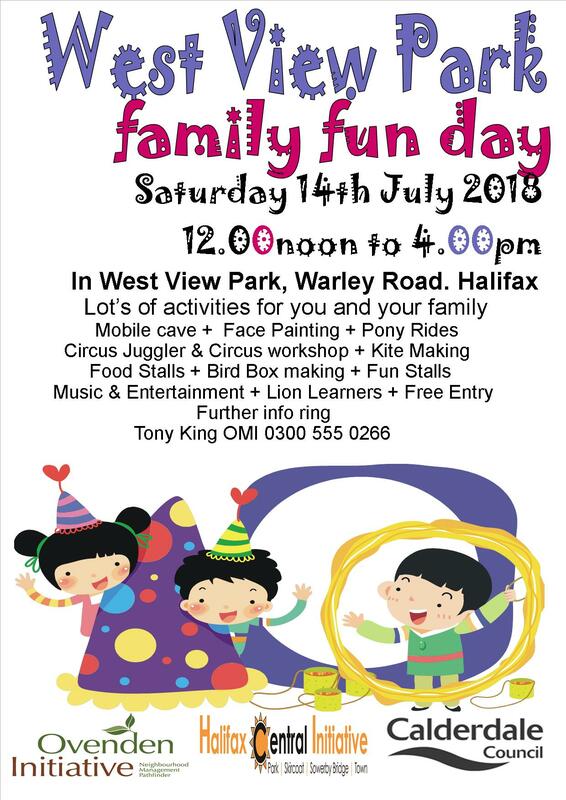 There will be a Family Fun Day at West View Park on Saturday 14 July, 12:00pm-4:00pm. cave, Face-painting and a Circus juggler and circus workshop . As usual there will be music, food and fun stalls, pony rides and Lion Learners but there will also be bird box making and kite making. For further information ring Tony King on 0300 555 0266.